Park Avenue at 95th street heading south. Clear, quiet August day. Based on sketches from taxi. 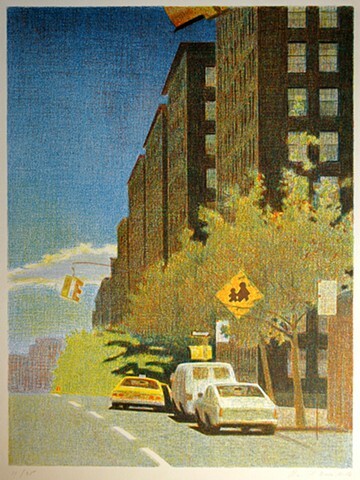 Printed by the artist in an edition of 35 impressions on German Etching paper.